Provident Trust Group proves to be among the most popular IRA custodians. They boast of over $3 billion of assets in custody with over 30,000 clients throughout all 50 of the states. They can provide services including trustee, agent, co-trustee, custodian, and successor trustee to their IRA clients. Their steep annual fees of $295 do not include precious metals storage. Provident Trust Group is ranked #9 on our list of the top IRA custodians of 2019. In the following review, we'll discuss this custodian's history, management, reputation, products/services, and fees. Provident Trust Group (PTG) (www.trustprovident.com) is one of North America's most popular IRA custodians, with more than $3 billion worth of assets in custody and more than 30,000 clients across all 500 states. The company is based in Las Vegas, Nevada and was founded in 2007 by a team of qualified financial professionals and tax attorneys. PTG is able to serve as the agent, trustee, co-trustee, successor trustee, or custodian of an IRA account. The CEO of Provident Trust Group is Theresa Fette, a nationally recognized specialist in business planning, taxation, trusts, and alternative assets. In 2012 Fortune Magazine rated Theresa as one of the most powerful women entrepreneurs. You can learn more about the company's management on their Management Bios page. The only number that Gold IRA investors should pay attention to in the screenshot above is the bottom figure – the annual cost of a self-directed IRA, as this is the type of account you'd be using. It is important to note that the cost of storage is not included within the $295 annual cost mentioned above – according to the ‘Depository Information' section on their Direction of Investment form for precious metals, which states that they use Delaware Depository, and that clients are responsible for paying a storage fee each year. Note that this policy differs in contrast to the policy of some custodians who cover the cost of storage within a flat-rate annual charge. The majority of the custodians on this year's top 10 list include the cost of storage within their annual fee. 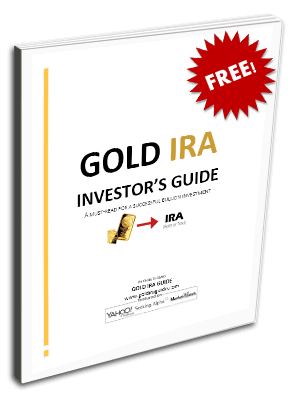 Gold IRA – A brief overview of self-directed IRAs and their use as Gold IRAs. Fee Schedule – Complete fee schedule for various types of retirement accounts from PTG. At first glance, investing in a precious metals IRA may seem like a simple and straightforward process. While most major custodians and bullion dealers are in fact reputable enough to honor their own fee policies and guidelines, that doesn't mean that all of their fees and policies will be the same. The safest and most cost-effective investment is always ideal, which is why anyone interested in an IRA should begin their research by comparing the reputations, policies, and annual fees of the top precious metals IRA custodians before making an informed investment decision. Although signing up with a custodian directly may appear to be the best way to “cut out the middleman,” this is not always this case. Some bullion dealers and Gold IRA companies will offer to waive the setup, storage, and admin fees for your IRA if you open the account through them with their partnered custodian(s). These companies can also sell you IRA-eligible gold products and have them shipped and delivered directly to an approved depository to be held in the custody of your preferred custodian. The point is – it can be worthwhile to set up your precious metals IRA through a bullion dealer that will help you conveniently open and stock the account with the appropriate coins and bars, while also waiving some of the custodian fees that you would have been charged if you had signed up with the custodian directly instead. With that said, you should continue your research by comparing the top bullion dealers/Gold IRA companies, as these are the companies that the individual investor deals with to set up, and buy gold for, a Gold IRA. If you're an owner, representative, or associate of Provident Trust Group and you've found any of the details in this review to be outdated, inaccurate or misleading, please do contact us with your concerns. We strive to provide the most useful and accurate review on an ongoing basis. As such, we'll honor any revision or removal requests that are in line with that goal. Their clientele base of 30,000 covers all 50 states. Services include trustee, agent, co-trustee, custodian, and successor trustee for their IRA clients. They offer a significant range of investment choices for their clients. The annual $295 administration fee is among the highest in the industry of the best administrators. These fees do not include precious metals storage.